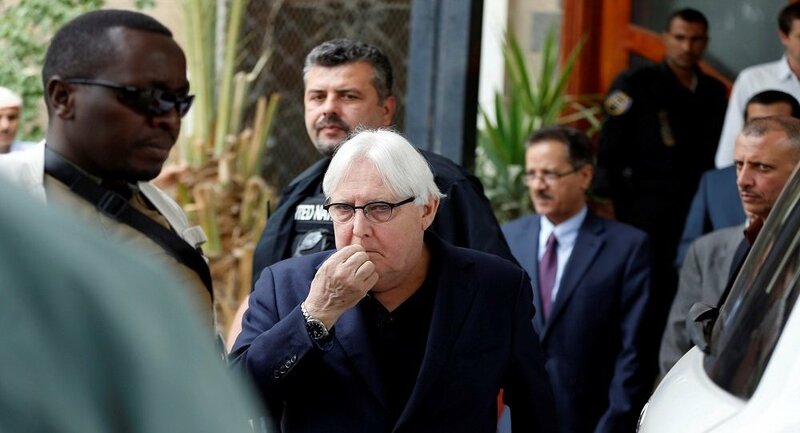 The UN special envoy for Yemen, Martin Griffiths on Tuesday departed the Yemeni capital of Sana'a following a 24-hour unfruitful visit during which he met with the Houthi leader, Abdul Malik al-Houthi. The UN envoy arrived Monday in the Houthi-held capital, after two-day delay for logistic reasons, to helpimplement the Hodeida redeployment first phase under the stalled Stockholm Agreement. Griffiths' meeting with the Houthi leader was "unfruitful", a Yemeni firsthand source told Debriefer Monday on condition of anonymity. "The UN envoy and Houthi leader have reached no complete deal on implementing the Stockholm Agreement" reached by warring parties last December, the source added without further details. At arrival, departure and meeting, Envoy Griffiths gave no comments to reporters at Sana'a airport. Yemen 4-year war has left most of the population in need for a type of humanitarian aid and immediate protection, including 14 million people risking famine and some 1.8 million children suffering malnutrition.